Why is Email Archiving Important? A report by IDC revealed that 60% of business-critical information is stored (often exclusively) in email. The demand of email archiving is undergoing a fundamental shift, as organizations shift their focus toward meeting compliance needs, governed by regulatory bodies. From Barracuda to Office 365 and many others, many modern email archiving solutions have adapted to meet this new reality. Many software systems now allow you to store, easily discover and effectively manage email content so you can find exactly what you need in a matter of minutes, not hours. With all the solutions available, we’ve found there is still a good deal of confusion when it comes to email archiving and data backup. Why Is Email Archiving And Backup So Important? 1. Is Email Archiving Required by Law? After the adoption of Rule 26 of the Federal Regulations on Civil Procedures, or FRCP, school districts, municipal/public entities as well as many business enterprises, are required by law to maintain an archive of all electronic communication that take place on their network. (This includes instant messages and email). The goal of this law is to ensure that, in the event they are sued in federal court, any relevant electronic communications within the municipality, public entity or business are available for use in court procedures. Insurance companies, investment services, law firms and any other business that holds confidential, sensitive information is required by law to archive all electronic communications. 2. Is Your Business Compliant if You Back Up Your Data? In short, no, data backup is not enough to be considered compliant. An archiving method is different from email backup because archiving allows your email data to be searchable and indexed. In other words, you can retrieve emails based on search criteria such as to, from, subject, date, etc. While backups and remote data storage are great for backup and disaster recovery, they only allow you to restore your data to the last “copy” of the backed up data. With 60% of critical business information stored in email, email archiving is great for any business who needs to quickly and efficiently retrieve any information transmitted over email – in a matter of minutes. 3. What is the Difference Between Data & Backup Archiving? 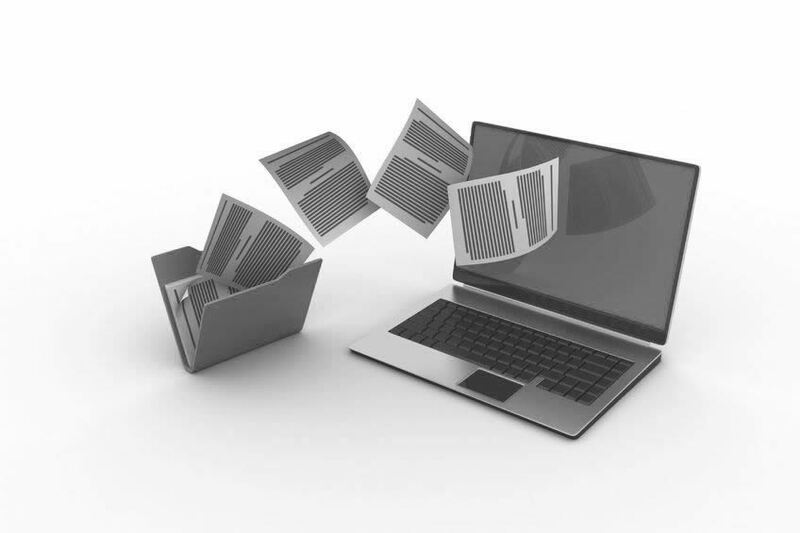 Data Archiving: There are a number of different archiving solutions available today. Data archiving allows for shorter backups and a reduction in primary storage and total operating costs. Without an efficient archiving solution in place, your organization will spend a good deal of money searching for data when it is requested. While archiving stores email long-term, what it doesn’t include, is other data across the network that is needed for disaster recovery. Backup Archiving: Backup data retention is critical for both compliance and disaster recovery. With backup archiving, data is stored for a period of time, in accordance with internal policies and external rules. In the past, data was backed up to external media such as tape drives, but cloud storage is now the popular choice, more than any other form of long-term storage due to low cost, fast recovery and reliability. While a backup system takes snapshots of the entire network’s data at the point of the backup, it doesn’t retain deleted emails between backups. Ultimately, it is best to have both long term and point-in-time storage features that optimize storage. Does Your Milwaukee Area Organization Need Email Archiving? 1. Can staff (not just IT techs) within your organization quickly and easily find any email content in a matter of minutes or seconds? 2. Does your organization automatically save and secure every inbound and outbound email file and attachment? 3. Do you find it easy to tag, filter or export email content as needed? If you answer “no” to any of the three questions above, you’re wasting time and money and it’s time to find an email archiving solution to better address your needs. Email Downtime: What is Acceptable to Your Organization? When evaluating email backup and archiving solutions, be sure to consider what is acceptable in terms of downtime. While service providers strive for 100% up-time, disasters are rarely predictable and a small amount of downtime is sometimes a fact of life. Contact us to discuss a contingency plan if email (or network) downtime is of critical concern to you. Whether your business uses Outlook, Exchange or any other email client, there’s no denying that email habits among company employees are a major cause of compliance related issues, not to mention security risks for the company. Email attachments: Educate staff about the risk of opening attachments from unrecognized senders. Establish company email policies that employees must abide by in order to maintain compliance. Browsing habits: Provide employees with internet browsing best practices, such as updating their internet browser on a regular basis. Provide them with tips on recognizing the signs of a virus or malware infection on their desktop computer or mobile device. Spam: Not all employees can easily recognize spam. Even with spam filters in place, some undesirable messages may still pass through even the most advanced systems. Employees need to know how to detect and handle spam to avoid putting the company at risk. Why Should You Make Email Archiving & Backup a Priority? 1. Email archiving improves your inbox maintenance process. 2. You can find emails and attachments quickly and easily. 3. You can avoid inbox size limitations. 4. You can remain compliant and avoid hefty fines if your company is ever involved in a lawsuit.